Searching high and low for a private hire venue for your personal or business use? 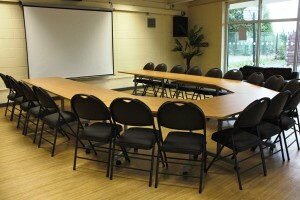 If you’re responsible for regularly organising training sessions or meetings, and struggle to find a suitable location, then why not consider our facilities here at Andover Community Services? Our rooms have recently been completely upgraded and refurbished, and as a result, expect to find comfortable spaces that meet every business need you may have. We are easy to reach by road from the surrounding area, and can easily be accessed from Winchester, Newbury, Salisbury and Basingstoke! We’ll be happy to show you around on site, or talk through your requirements over the phone or via email. Get in touch today and we look forward to welcoming you soon! Are you looking for one our neighbouring facilities on Charlton Leisure Centre such as; Grass Football pitches, Cricket tables, Pavilion, or the floodlit athletics running track? You will find the details and be able book these facilities with TVBC via their website.